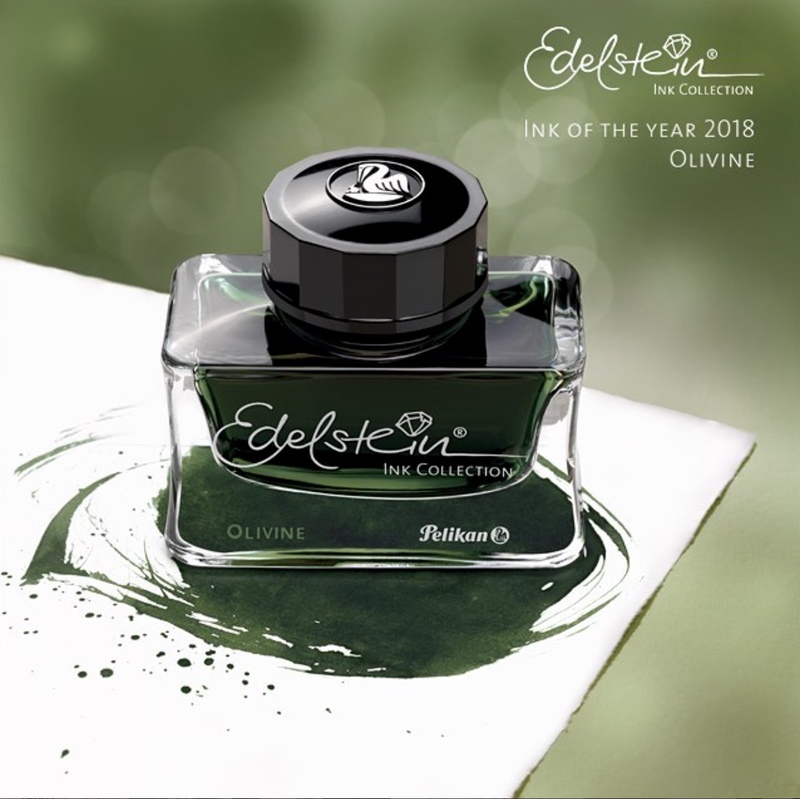 The 2018 Edelstein Ink of the Year has long been anticipated and Pelikan took the opportunity today via their social media accounts to make the official announcement. 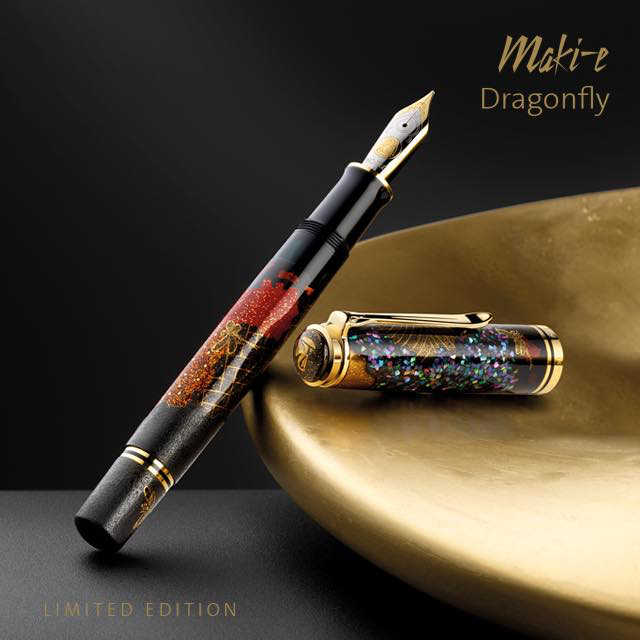 You may recall that Pelikan ran a social media contest back in 2016 which allowed fans the opportunity to choose this year’s limited edition color. Over 1,200 suggestions were submitted per the company but Johannes from Cologne was ultimately declared the winner of that contest with an olive-green colored entry. That ink now takes on the official moniker of Olivine in keeping with their gem stone themed line of colors (not to be confused with the Monteverde ink of the same name). This release follows the brown tinted Smoky Quartz from the 2017 limited edition run. It will be the fifteenth addition to the Edelstein line-up, a line that is currently composed of nine regular production inks. It joins the likes of Turmaline, Amber, Garnet, Amethyst, Aquamarine, and Smoky Quartz as the seventh Ink of the Year. A few international vendors such as Germany’s Fritz Schimpf and Italy’s Casa della Stilografica gave us notice today of a new M200 soon to be added to Pelikan’s Classic line-up. Dubbed the M200 Brown Marbled, this new model is intended as a standard addition to the line-up rather than a special edition piece. 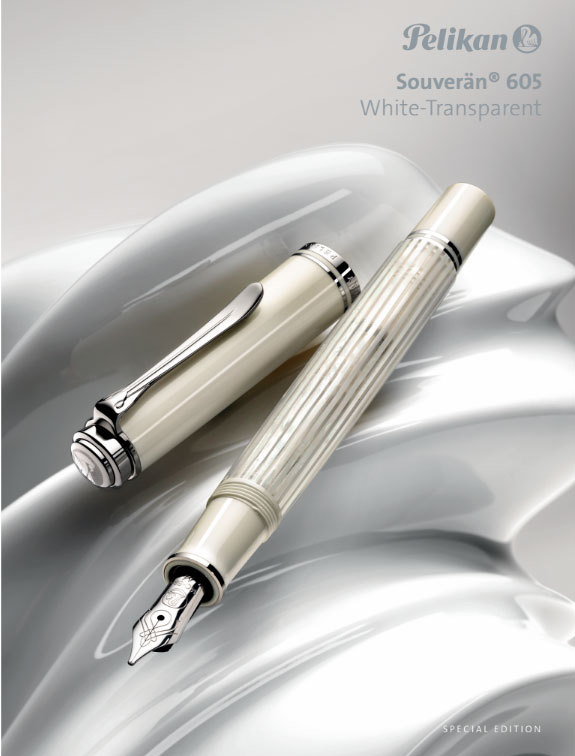 This news comes just as the M605 White-Transparent is starting to ship and ahead of the M805 Ocean Swirl’s release. The upcoming M200’s availability is slated for late November. Like the Green and Blue Marbled variants available today, the barrel of the Brown Marbled will have a pearlescent appearance allowing the varying shades of brown to really shine in the light. 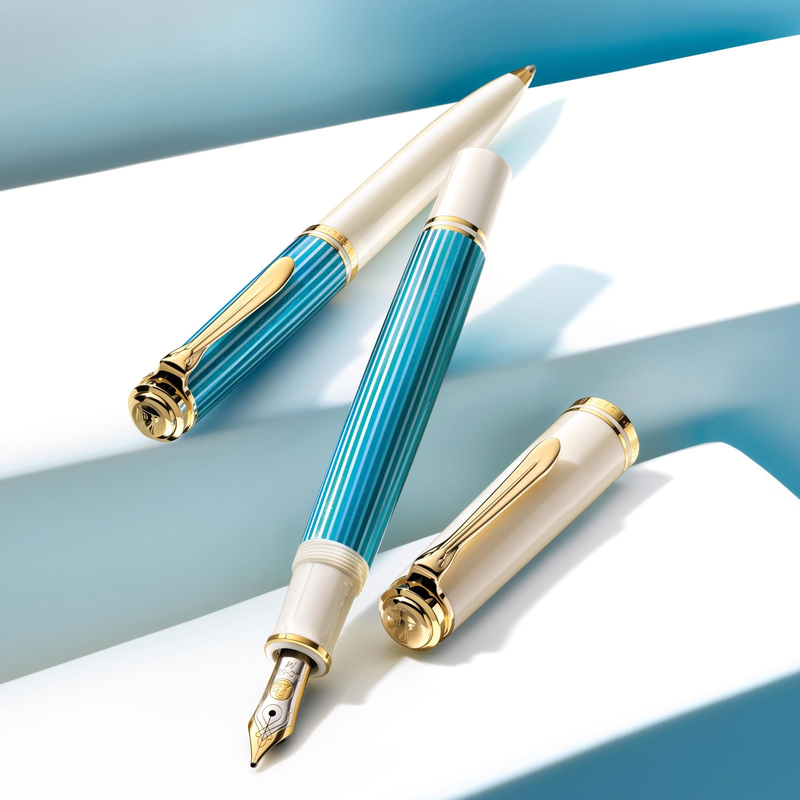 The Classic line is Pelikan’s lower tier offering that is intended as a more affordable yet still elegant alternative to the higher end Souverän range. These models are only lacking in a little polish and some extra furniture but do not skimp on the writing experience. 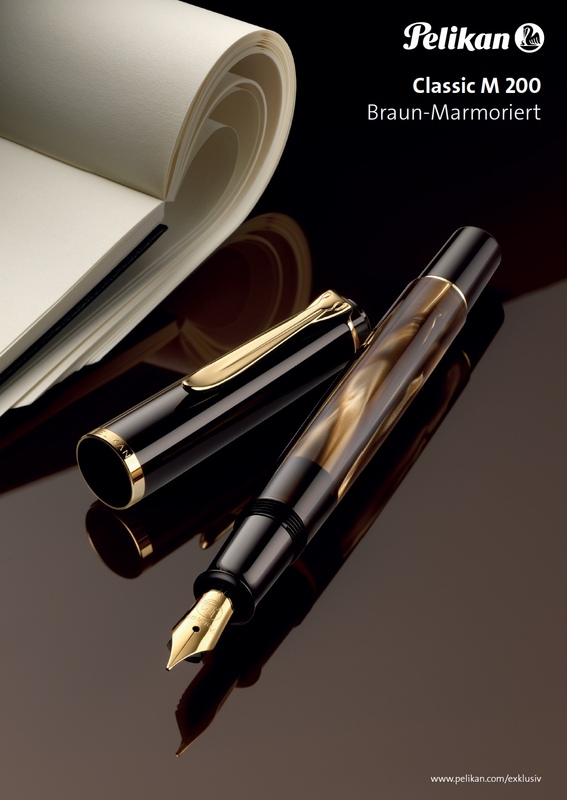 One thing that is shared between the lines is Pelikan’s excellent piston filling mechanism. 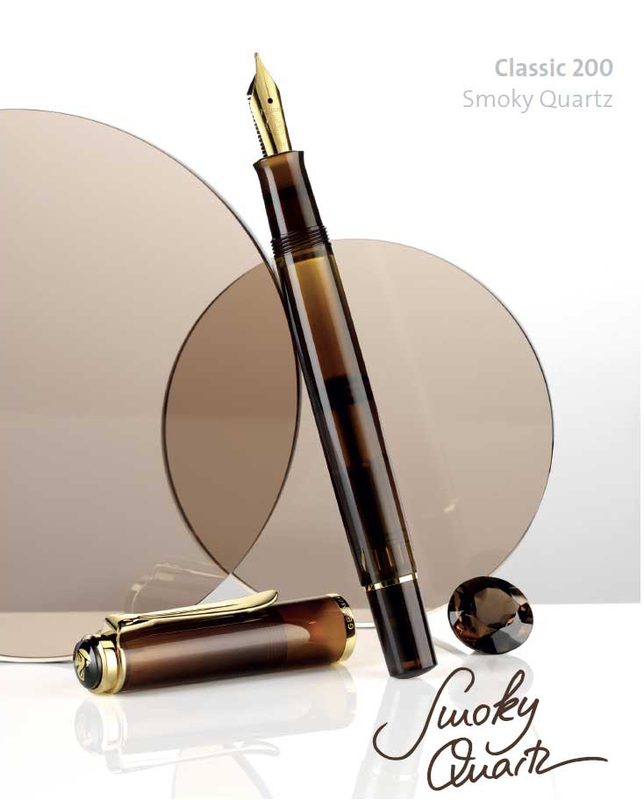 The Classic line was last updated just a few months ago with the release of the M200 Smoky Quartz. 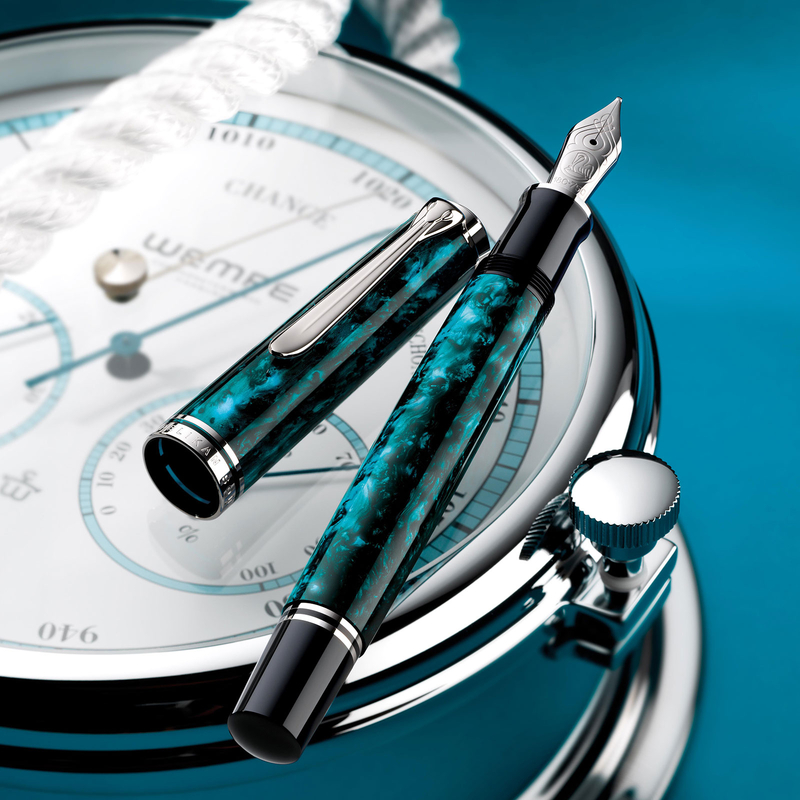 The pattern is offset smartly by the palladium plated trim characteristic of the Souverän family of pens. The barrel is expected to be translucent to allow visualization of the ink level just like we have seen with the Renaissance Brown. Similar to other M805s, the pen will measure 5.59 inches when capped and weigh in at a respectable 0.99 ounces thanks to the brass piston assembly. The nib will be rhodium plated 18C-750 gold and available in sizes EF, F, M, and B. The anticipated release date is November 2017.